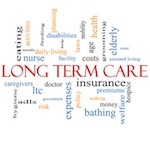 Why support the Long-Term Care Trust Act? At some point, most of us will need some extra assistance as we age. Unfortunately, almost no one is saving enough to pay for the long-term care we need. With a rapidly expanding senior population, we need to address this growing financial crisis facing Washington’s families. The Long-Term Care Trust Act, can fix this problem. This bill creates a funding system that would help workers and retirees pay for long-term care costs and could help prevent many people from spending down to poverty levels paying for their care. It does this by requiring workers to save during their career, and then when someone needs long-term care, paying this person a benefit of $100/day for 365 days to be used either non-consecutively or consecutively. Further, the LTC Trust Act secures our Medicaid budget, and by 2040, this legislation could save Washington State $1.4 billion per biennium in Medicaid spending. The Long-Term Care Trust Act is the answer to providing security for families and state budgets.